Established in 1952, Leuschen Transportation is known for its safe, secure and timely service. As the Greater City of Sudbury’s most established and experienced operator, Leuschen provides transportation services to the thousands of school children who depend on us each day to arrive at school safely, on time and ready to learn. 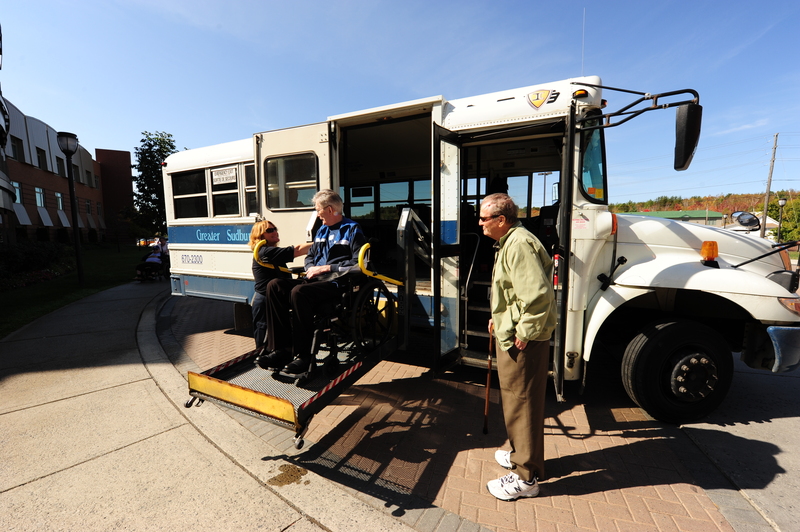 Leuschen Transportation also provides the complete services for the City of Sudbury’s “Handi Transit” program with more than 150,000 trips annually. Our role is to provide clean, well maintained vehicles, properly trained and committed drivers, and an efficient administration. Our expertise has been built on decades of experience and a clear understanding of our customers’ needs. On July 15, 2010, Leuschen Transportation was acquired by Student Transportation Inc. (STI)., North America’s fastest-growing and safest independent provider of school bus transportation services, operating more than 13, 500 vehicles. STI’s family of local companies delivers safe, reliable and cost-effective transportation solutions throughout the U.S. and Canada, with Canadian Corporate Office located at 160 Saunders Road, Unit 6, Barrie Ontario. The Leuschen Team works diligently to provide exceptional customer service, where safety is the number one priority. The backbone of our success includes our maintenance and training programs, well-established policies and procedures, and experienced staff.